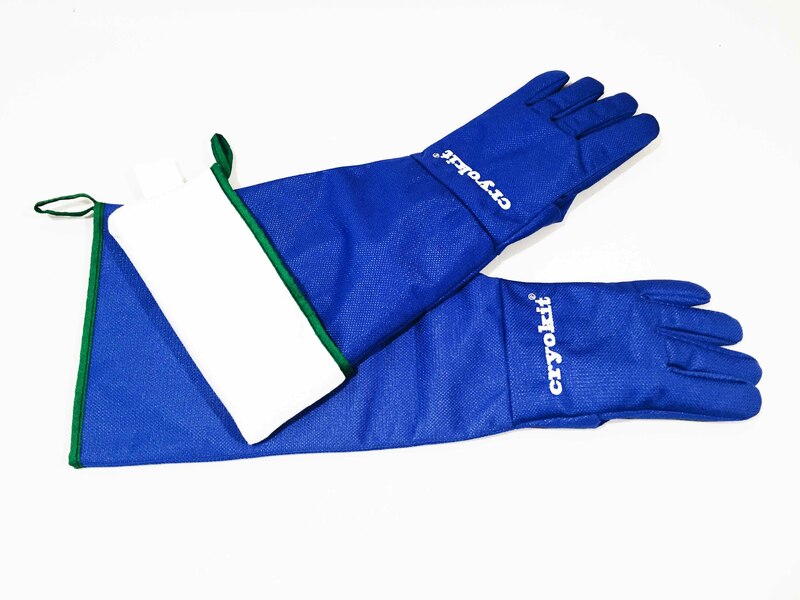 Envirosafe Ireland supply the Cryokit range of Cryogenic Gloves and Personal Protective Equipment for working with cryogenic liquids and gases. Cryokit cryogenic gloves protect operators from prolonged contact with very cold liquids and gases without losing flexibility and dexterity. 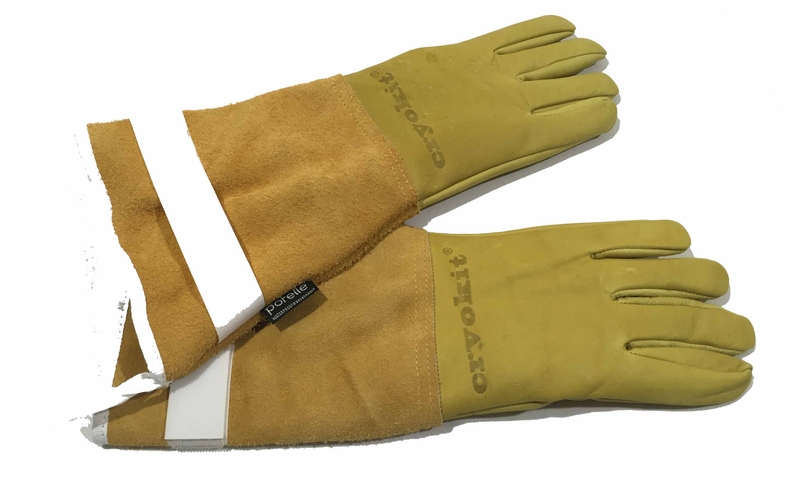 Cryokit gloves feature a Porelle® membrane which ensures that the gloves are waterproof in use, keeping the hands of the user dry and comfortable. 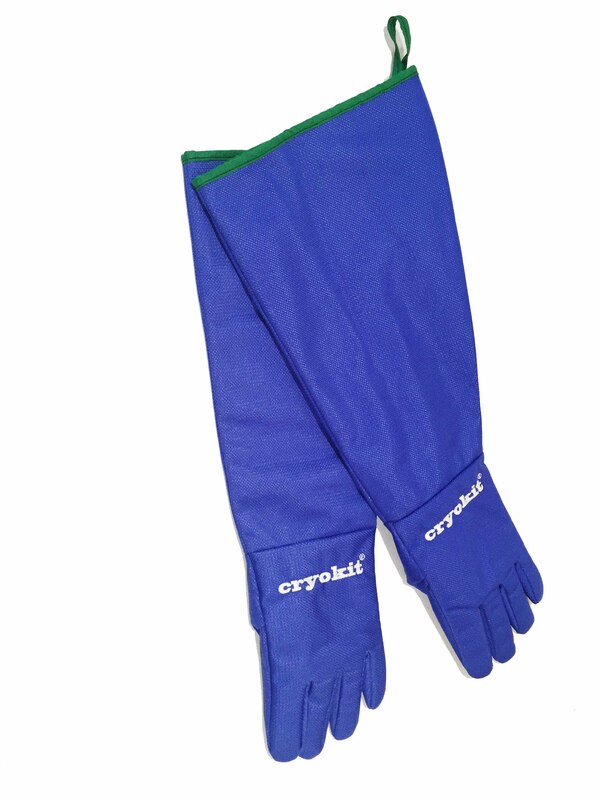 Also available in the Cryokit PPE range are cryogenic, aprons, boot covers, visors and goggles. 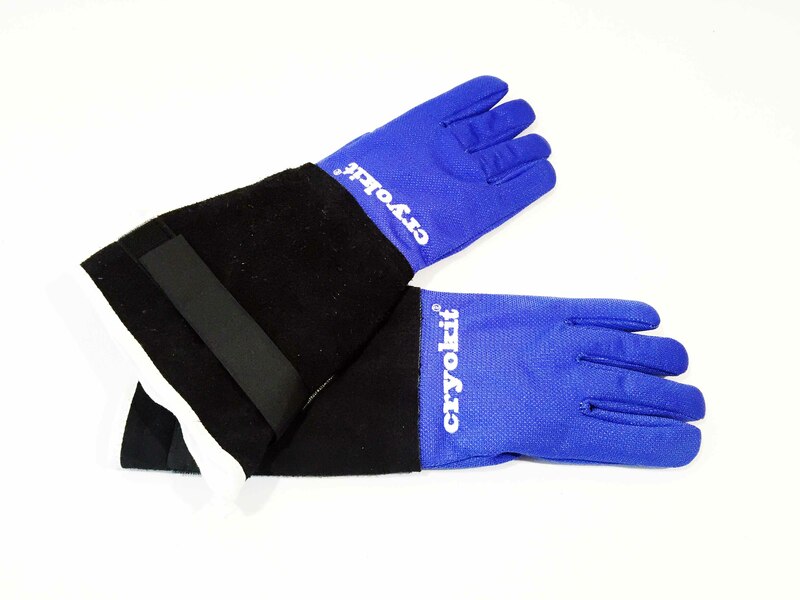 Cryogenic waterproof glove made of a special coated and laminated blue fabric. Internal insulation is a polyester fleece (240 g/m²) and polyolefin Porelle® membrane, 15 cm split leather safety cuff with tightening / adjustment by velcro. Overall length of glove is 40 cm. Water-repellent grain leather cryogenic glove for light industrial application. Internal insulation is a polyester fleece (320 g/sqm) and polyolefin film Porelle, which ensures that the gloves are waterproof. 15 cm split leather safety cuff with tightening / adjustment by velcro. Overall length of glove is 40 cm. 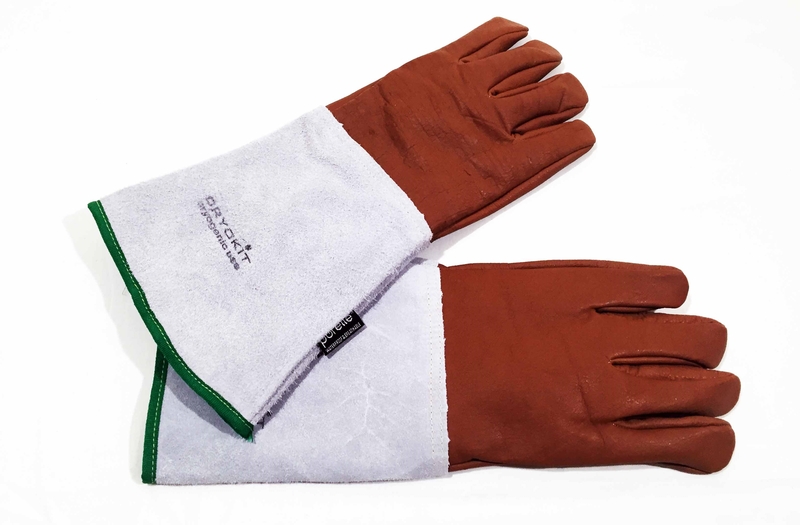 Water-repellent grain leather (1.2 mm) cryogenic glove for heavy industrial application. Internal insulation is a polyester fleece (320 g/sqm) and polyolefin film Porelle, which ensures that the gloves are waterproof. 15 cm split leather safety cuff. Overall length of glove is 38 cm.